They came second in the Olympic table after racking up an astonishing 88 medals – 38 of those gold – at London 2012 in the summer. The country has turned out some of the world’s best gymnasts and these pictures give an insight into the gruelling training their young go through to get to the top. The 27-year-old started training at the Nanjing school aged five, before being recruited by the ‘August First’ gymnastics team of the Chinese People’s Liberation Army in 1995. The youngsters at the same training school will be hoping to emulate the success of Qin, who joined China’s national team in 1999 aged 14. 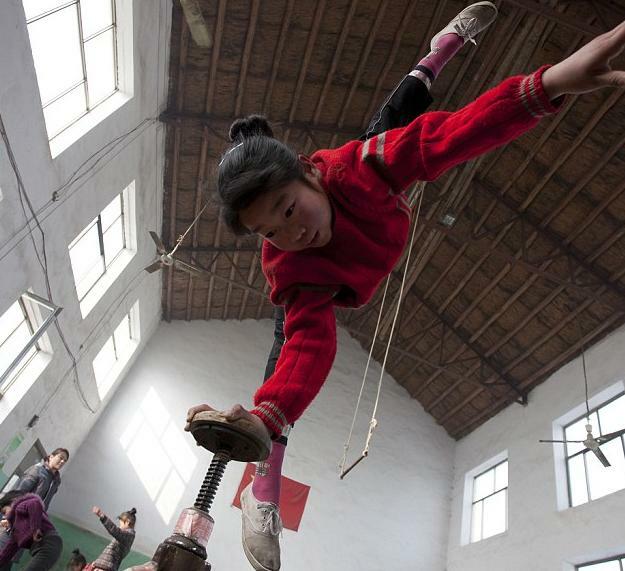 They pay around 2,500 yuan – about £250 – living expenses every year to learn acrobatics.